Seven new nonprofits last week joined Community Shares of Wisconsin. 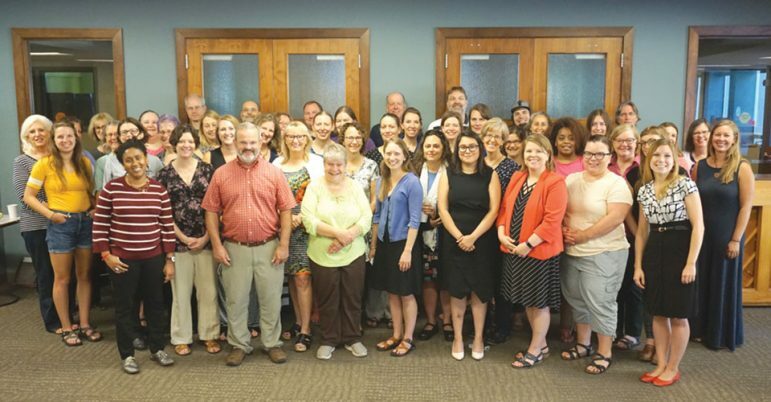 The new members join 65 Wisconsin-based nonpartisan and nonprofit organizations that are working to advance social justice, protect the environment and defend civil rights in Dane County and across Wisconsin. The CSW board of directors unanimously approved the membership of the new organizations. The staff of Community Shares Wisconsin (Photo Courtesy of Community Shares of Wisconsin). and, Voces de la Frontera, a membership-based community organizations that aims to protect and expand civil and workers’ rights. If you want to learn more about Community Shares of Wisconsin visit www.communityshares.com or call (608) 256-1066.